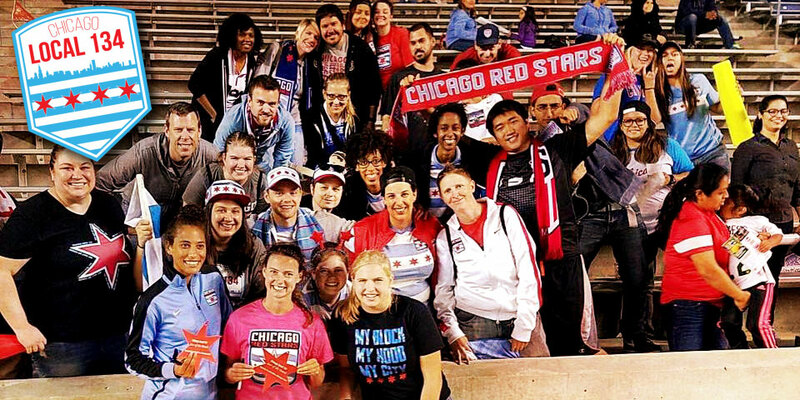 Chicago Local 134 is the official independent supporters group for the Chicago Red Stars, who are part of the National Women’s Soccer League (NWSL). The group is called Chicago Local 134 in honor of this city’s rich union history and to commemorate the original supporters’ section for the Chicago Red Stars home matches, Section 134. We support the best team in the NWSL by organizing events, rallying fellow supporters, and creating an energetic atmosphere and fan community. We welcome all fans to join us without regard to race, gender, age, color, national origin, ethnic background, socioeconomic status, disability, sexual orientation, or gender identity. Want to join us? You can find our Game Day Guide and any other information you need in the menus above, but if you have any questions you can always reach us at chicagolocal134@gmail.com or @ChicagoLocal134 on Twitter.